Em breve mais uma grave denúncia e furo de reportagem do Tio Chico !!! 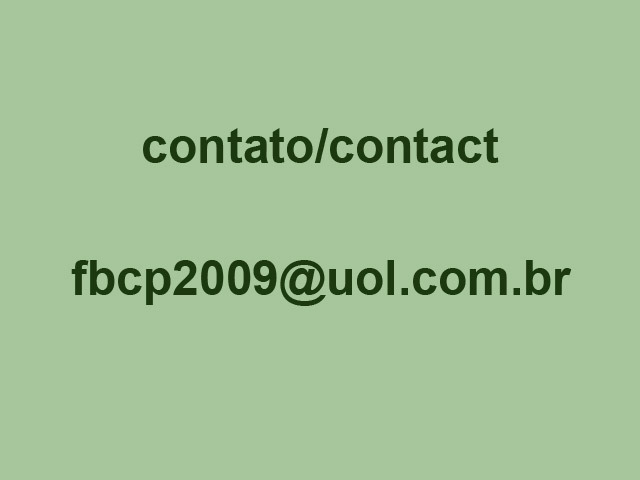 Estariam Anfibra e CBKC-FCI, respectivamente, falsificando pedigrees e emitindo pedigrees falsos? Até as digitais dos falsificadores estariam nos documentos e nos nomes dos canis e dos FB do CAFIB usados !!! Não percam no próximo dia 4 de Janeiro: mais um artigo do Tio Chico divulgando a muito provável comprovação da falsificação e adulteração de pedigrees emitidos pelo CBKC-FCI e o uso indevido pelo ex e atual presidentes e diretor da Anfibra modificando o nome de canis do CAFIB e também o nome de Filas Puros de criação do CAFIB !!! Happy New Year for FCI people. Very soon another serious snitch and newsbreak from Uncle Chico !!! Would Anfibra and CBKC-FCI be, respectively, forging pedigrees and issuing fake pedigrees? Even though the fingerprints of the counterfeiters would be in the documents and in the names of the CAFIB kennels and dogs used !!! Do not miss next January 4th: another article by Uncle Chico announcing the most likely forgery, falsification and adulteration of pedigrees issued by CBKC-FCI and the misuse by former and current presidents and director of Anfibra modifying the name of CAFIB kennels and also the name of Pure Filas breed by CAFIB !!! That is: another “Seal of Foolish” for these counterfeit fools. Great news: debate between Uncle Chico x Harrison Pinho at CBKC headquarters ??? My dear Uncle Chico, I heard that at the beginning of next year CBKC will hold a debate about the improvement of the FB breeding and the fight against the FB miscegenation at CBKC`s Rio de Janeiro headquarters and that you and Harrison Pinho have already been invited to participate. I was very excited. Do you confirm? I would love to attend this meeting. Because CBKC, which was the sponsorship of the journalist Paulo Godinho`s book on the FB, since them did nothing to really protect the Pure FB !!! Chico, Harrison Pinho and Marisa Kanap commented on your latest articles with dozens of arguments against miscegenation and 115 of “fila-freak” photos (see link above in brown)? Although my blog is available to them for any clarification and honest positioning. The fact is that without arguments they remain silent, they omit themselves and simply disappeared … But they must continue to say in social networks that they “love the FB” … Well, what they really love are the dogs that are inside their kennels… Not the Pure Fila !!! Ótima noticia: debate do Tio Chico x Harrison Pinho na sede do CBKC ??? Feliz Natal e um Ano Novo sem “fila-aberração“…!!! Querido Tio Chico, escutei que no início do ano que vem o CBKC realizará um debate objetivando o aprimoramento da criação do FB e o combate à mestiçagem na sua sede do Rio de Janeiro e que já teria convidado voce e o Harrison Pinho para participar. Fiquei muito animado. Voce confirma ? Tomara que seja verdade !!! Adoraria participar deste encontro. Desde o patrocínio do livro do jornalista Paulo Godinho sobre o FB este clube nada vez para realmente proteger o Fila Puro !!! 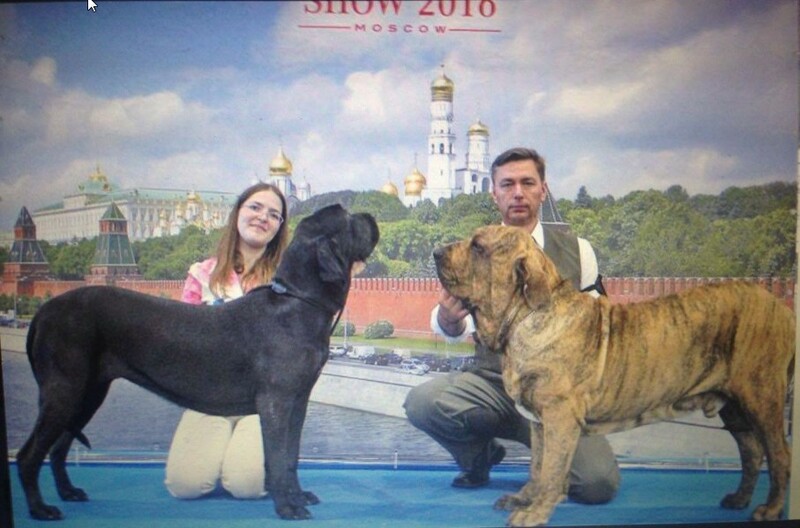 Caro Chico, um clube que vende pedigree para qualquer tipo de cão grande e cabeçudo como sendo um FB Puro e tem 115 “filas-aberração” (veja o link acima em marrom) em seu plantel deve fechar não para o balanço, mas para sempre !!! Chico, Harrison Pinho e Marisa Kanap comentaram seus últimos artigos com dezenas de argumentos contra miscigenação e 115 fotos de “filas-aberração” (veja o link acima em marrom)? Apesar de meu blog estar à disposição deles para qualquer esclarecimento e posicionamento honesto. O fato é que sem argumentos eles permanecem silenciosos, omissos e simplesmente desapareceram… Mas eles devem continuar afirmando nas redes sociais que “amam o FB“… Ora, o que eles realmente amam são os cães que estão dentro de seus canis... E não o Fila PURO !!! Para todos amigos do FB e do CAFIB desejo um Feliz Natal e um ano novo sem “fila-aberração“… !!! Sobre as 115 fotos de “fila-aberração” que postei”… ??? About the 115 photos of “fila-freak” I posted “…??? Por que Harrison Pinho, Marisa Kanap, Sergio Castro, Ricardo Torres Simões, Rafael Santiago, Gerard Jipping, Raymond Triquet, Alexandre Bacci e Andrea Blumen não respondem ou comentam meus artigos ? Why do not Harrison Pinho, Marisa Kanap, Sergio Castro, Ricardo Torres Simões, Rafael Santiago, Gerard Jipping, Raymond Triquet, Alexandre Bacci and Andrea Blumen fail to respond or comment on my articles? Afinal, onde esta turma está se escondendo ? Finally, where are these people hiding ? 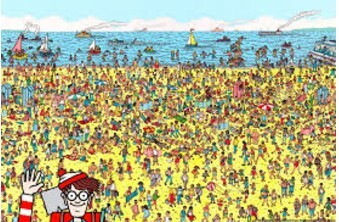 Será que estes criadores e dirigentes estariam muito distantes do Fila PURO que nem o Wally ? Would these breeders and dog leaders be very far from the PURE Fila than Wally? The Godfather Harrison Pinho !!! And now Sergio Castro and Rafael de Santiago: will you continue to hide and be omitted about the FB miscegenation ? 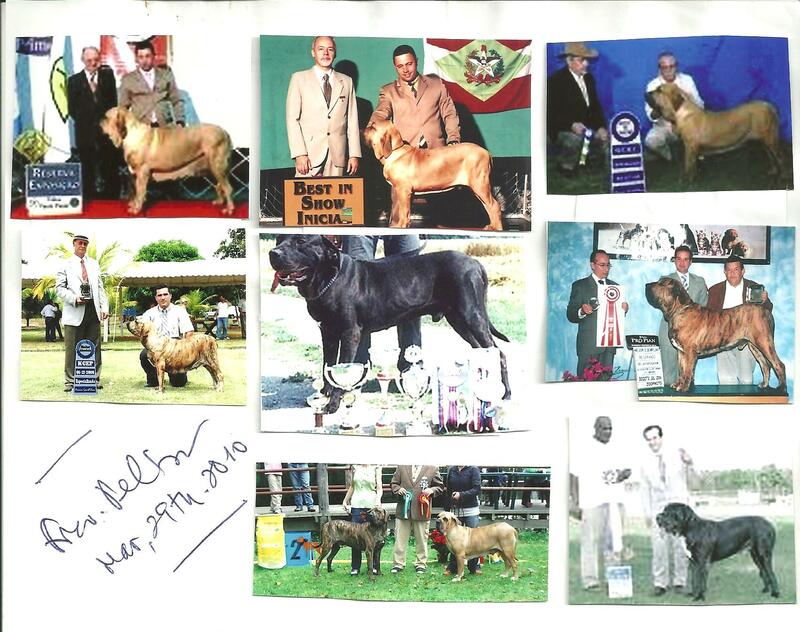 As far I am concern Harrison Pinho is for many years the most powerful and influential “fila” and Fila breeder of the CBKC-FCI system. Thus, he is the only breeder capable of persuading, inducing and influencing the decisions of Sergio Castro, president of CBKC. So, Harrison determines the destiny of the FB in these two clubs, the future of all its member and pedigrees buyers, sends in the weak and inoperative directors of the fragile CBRFB (a kind of useless CBKC “fila” and Filas council) and in a brand new thing called CONFILA (an entity still today without defined objectives…), as well as participated actively of the constant changes in the “fila“-Fila standard CBKC–FCI # 225. 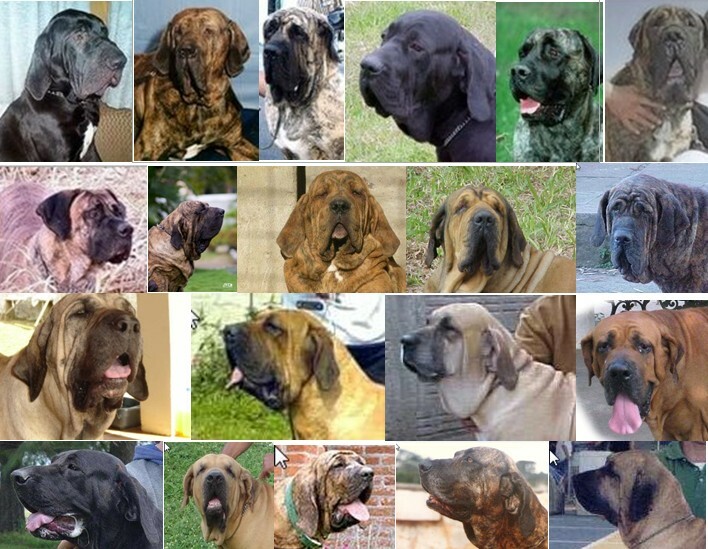 (*) or as I use to call them “Without Selection and without Responsibility” since in this facebook is posted all kinds of photos of several types and varieties of very different dogs who won FB pedigrees but are completely atypical dogs, as explained below. 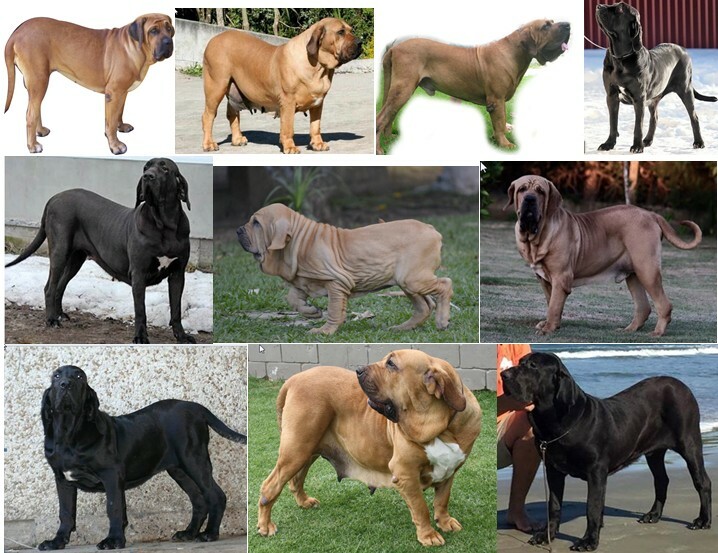 – and due to the miscegenation and the consequent non officials diversity of types and varieties, the breeders themselves of the CBKC-FCI “fila” pejoratively named these dogs with diverse phenotypes, as well as “freak-fila” (or aberration-fila) and also “stocky-fila, toy-fila, pet-fila, masttiff-fila, neapolitan-fila, black-fila, giant-fila, roitt-fila, bloodhound-fila, docile-fila, hairy-fila, heavy loaded-fila” and most recently nicknamed them as SMI = Super Shocking Molosser… That is, as I have designated them over 4 decades ago: “filamarquês” and “genetic-salad-fila”. 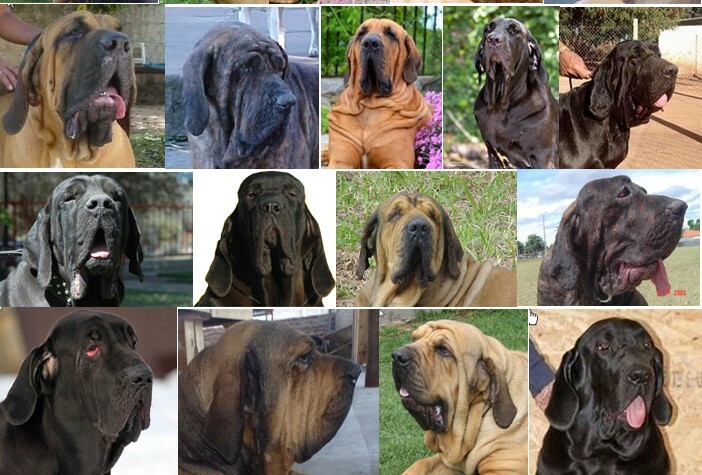 “fila” breeders, every big and stubborn dog is an authentic, characteristic and typical Fila Brasileiro (?!?!?! ), whose pedigree must be issued and sold without any evaluation, thus greatly increasing the billing of these two notaries and registries clubs, that never accompany any cross or mate, that never check a litter, that do not approve or reprove specimens in disagreement with standard # 225, (*) thus providing fertile ground for a terrible free-for-all FB cynophilia (i.e., dog and FB world). 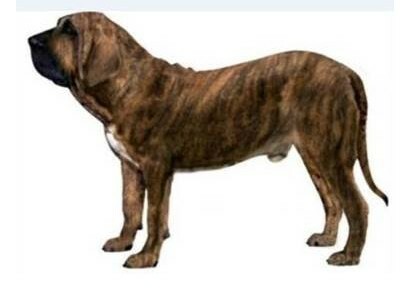 (*) CAFIB use since its foundation in 1978 its very famous Analyses of Phenotype and Temperament – APT (read in English in http://www.filabrasileirochicopeltier.com.br/fila-brasileiro-filas.html ), where typical Fila dogs are approved and the atypical dogs not, being never accept in the CAFIB squad. Roberto Sene when was president of CBRFB in 2011 tried to implement the test Suitable for Reproduction – SFR, to all CBKC-FCI “filas” and Filas but the breeders of the CBKC “fila” did not have the courage to implement such test. 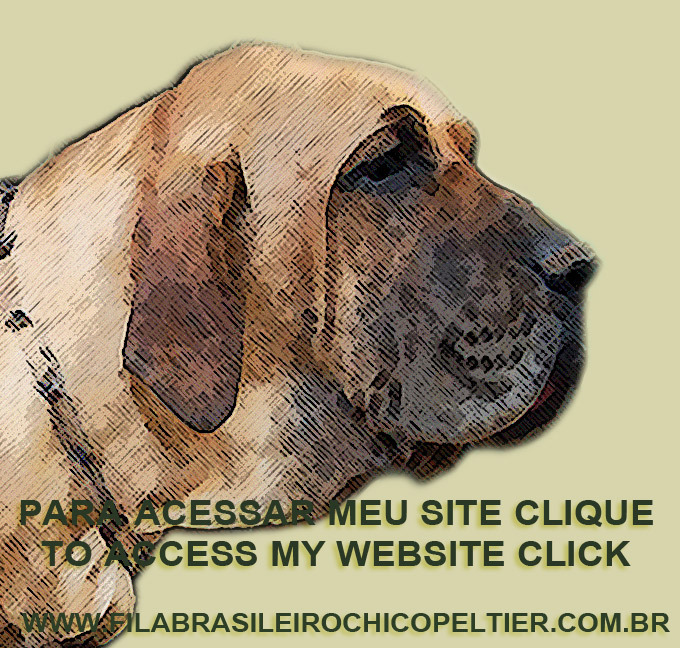 1 – Since after almost 5 decades the “fila” CBKC-FCI has finally its own image-illustration of FB to be followed, — the one above — I ask what will be done in practice and when, with the dogs with pedigree of Fila Brasileiro emitted by the CBKC with the seal, endorsement and certificate of breed purity of the centennial club called FCI, that are totally at odds with this “official image-illustration of the standard # 225” ? That is: the CBKC-FCI duly influenced by the Godfather Harrison will definitely remove these atypical dogs from CBKC-FCI squad and will cancel their pedigrees or not? 2 – Is this “official illustration image of the CBKC FB standard # 225” really valid and will actually be put into practice honestly and seriously as it has been done by CAFIB for the last 40 years, or would it be just another deception and trickery in order to draw attention of my serious and prudent denunciations, taking the “fila“-CBKC-FCI for many more decades of an aimless breeding and characterized by the total atypicity of its copies? 3 – It is not time for CBKC-FCI to accept the CBKC / CAFIB Partnership Proposal submitted to CBKC at the request of Sergio Castro himself on Oct, 9th – 2014, but which has never been answered to date, in full proof of the total lack of interest of the CBKC by the FB ? 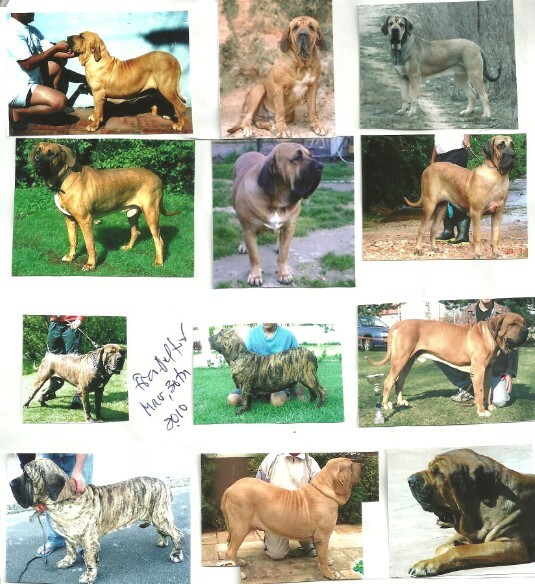 4 – It would not be the moment for CBKC-FCI to accept the proposal of the creation of the Brazilian Mastiff Breed (Mastim Brasileiro), where all these dogs without characteristics and type of Pure Fila would be transferred without causing any harm to their owners and for the billing of CBKC-FCI as proposed in English in http://www.filabrasileirochicopeltier.com.br/novos/pergunte_chico_3/materia_eng.html ? 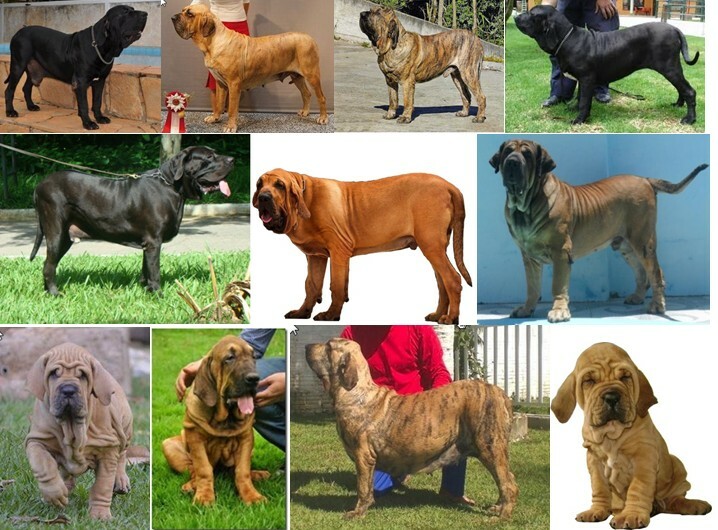 Such as, for example, the dogs whose photos follow below that are considered FB in the CBKC-FCI System, but which clearly and evidently have such diverse, heterogeneous and atypical types… Far, very far away from the PURE FILA and also far from the “official illustration image of the CBKC FB standard # 225” ? And also, Godfather Harrison, according to the set of photos below I sent to Hans Muller, former president of FCI, by email on Mar, 29th.-2010, denouncing the FB miscegenation. Please see the full document and a letter in English on same date by clicking on http://www.filabrasileirochicopeltier.com.br/2008ate/Page6.html . Note also that all photos below were taken at CBKC-FCI official events? In other words, FCI and CBKC accept these atypical dogs as being Pure Fila in their expos and even reward them !!! which does not allow FCI to issue pedigrees for mestizos, mongrels and mutts dogs !!! A international FCI shame !!! And still in this two sets of photos below also sent by myself to Hans Muller, former president of FCI, by email on Mar, 31st-2010 denouncing the FB miscegenation (see in English clicking http://www.filabrasileirochicopeltier.com.br/fila-brasileiro-rj-fotos.html ) ? Or would be the case that for the Godfather Harrison, all the dogs in the pictures above fit perfectly into the “official image-illustration of the standard # 225” ? world, or not? 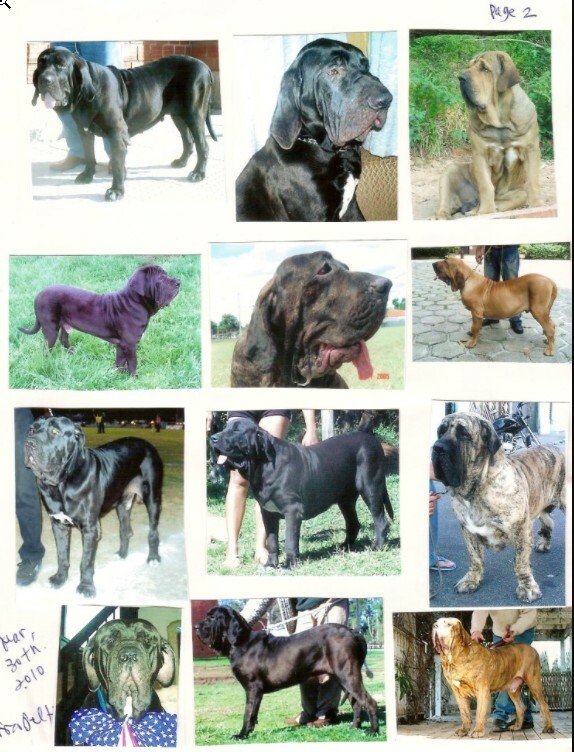 Is it only in the “fila” registered in the CBKC-FCI that there is such big heterogeneity and so many Variety and Type of dogs called by yourself of FREAK or ABERRATION ? 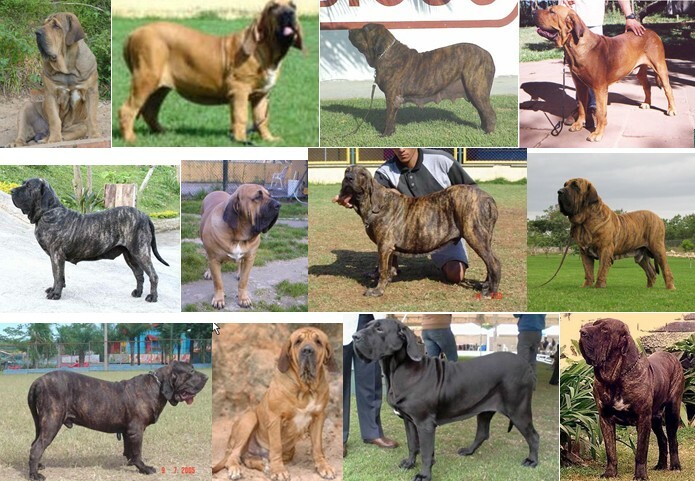 And now Sergio Castro and Renato Torres Simões from CBKC, will you continue to omit and be complicit in the heterogeneity resulting from the institutional and systematic clubs miscegenation that has existed for more than 40 years in the Fila Brasileiro registered at CBKC-FCI ? But never at CAFIB ? And now Rafael de Santiago, Gerard Jipping, Raymond Triquet and Yves De Clercq from FCI, will you continue to omit and disregard the FCI Statute itself (see also in Engkish http://www.fci.be/en/FCI-Statutes-39.html ) which in its article Article 2 – Objectives determines that FCI should only ” to protect the use, the keeping and the breeding of PUREBRED DOGS in the countries where the FCI has a member...”. That is, by such Statute the FCI must never issue its traditional and centennial pedigree attesting breed purity to mongrel, mestizo and mutt dogs, right? O Chefão Harrison Pinho !!! E agora Sergio Castro e Rafael de Santiago: voces vão continuar se escondendo e se omitindo no que se refere a mestiçagem no FB ? Até aonde vai meu conhecimento Harrison Pinho é ha muitos anos o mais poderoso e influente criador de “filas” e Filas do sistema CBKC-FCI. Sendo assim, é o único criador capaz de persuadir, induzir e influir nas decisões de Sergio Castro, presidente do CBKC. Logo, Harrison determina o destino do FB nestes dois clubes, no de seus membros-registradores, manda na fraca e inoperante diretoria do frágil CBRFB e numa tal de CONFILA, assim como participou ativamente das constantes mudanças no padrão nº 225. – e que devido a mestiçagem e a consequente diversidade de tipos e variedades, os próprios criadores do “fila” do CBKC-FCI apelidaram pejorativamente estes cachorros de fenótipos tão variados, além de “fila-aberração”, também de “fila-atarracado, fila-toy, fila-pet, mastifila, napofila, fila-preto, fila-gigante, roitt-fila, blood-fila, fila-dócil, fila-peludo, fila-pesado, fila-carregado” e, mais recentemente de SMI = Super Molossóides Impactantes… Ou seja, como eu os designei há mais de 4 décadas atrás: “filamarquês e fila-salada-genética”. 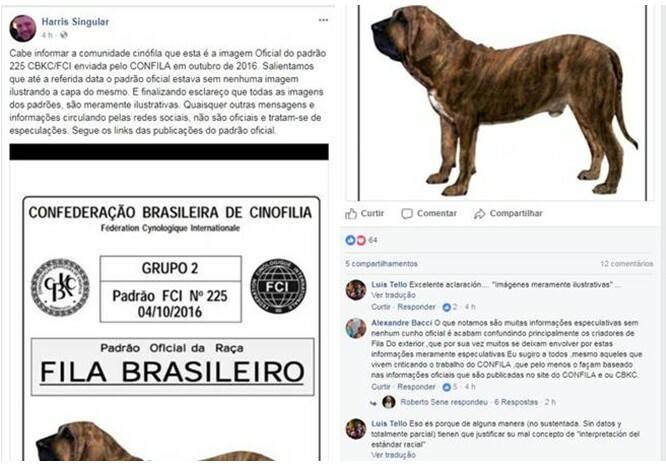 1 – já que depois de quase 5 década o CBKC-FCI possui sua imagem-ilustração de FB a ser seguida, pergunto o que será feito na prática e a partir de quando, com os cachorros possuidores de pedigree de Fila Brasileiro emitido pelo CBKC, com o selo, aval e atestado de pureza racial da FCI, que se encontram totalmente em desacordo com esta imagem-ilustração que é a oficial do padrão nº 225 ? Ou seja: o CBKC-FCI devidamente influenciado pelo Chefão Harrison irá definitivamente afastar estes cachorros atípicos da criação/reprodução e irá cancelar os pedigrees por estes dois clubes emitidos, ou não ? 2 – esta imagem-ilustração oficial do padrão nº 225 é mesmo para valer e será de fato posta em pratica honesta e seriamente como se faz no CAFIB há 40 anos, ou seria apenas mais uma enganação, enrolação e trapaça a fim de tirar a atenção de minhas sérias e prudentes denúncias, levando o “fila”-CBKC-FCI há mais muitas décadas de uma criação sem objetivo e caracterizada pela total atipicidade de seus exemplares ? 3 – não seria a hora do CBKC-FCI aceitar a Proposta de Acordo de Parceria CBKC / CAFIB encaminhada ao CBKC a pedido do próprio Sergio Castro em 9/10/14, mas que até hoje jamais foi respondida, numa cabal prova do total desinteresse do CBKC pela Raça Fila ? 4 – não seria o momento do CBKC-FCI aceitar a proposta da criação da Raça Mastim Brasileiro, para onde todos estes cachorros sem características e tipologia de FB poderia ser transferidos, sem causar nenhum prejuízo para seus proprietárias e para os cofres da CBKC-FCI conforme proposto em http://www.filabrasileirochicopeltier.com.br/novos/pergunte_chico_3/materia.html ? Como, por exemplo, os cachorros cujas 115 – repito – 115 fotos seguem abaixo que são considerados FB no âmbito e no Sistema do CBKC-FCI, mas que possuem clara e evidentemente tipos tão diversos, tão heterogêneos e tão atípicos… Longe, muito distante de um Fila Brasileiro PURO e da própria imagem-ilustração oficial do padrão nº 225 ? E ainda, Chefão Harrison, conforme o conjunto de fotos abaixo enviadas para Hans Muller, ex-presidente da FCI, por email em 29/03/10, denunciando a mestiçagem (vejam o documento completo clicando em http://www.filabrasileirochicopeltier.com.br/2008ate/Page6.html ) fotos estas que foram tiradas em eventos do CBKC-FCI ? E ainda neste conjunto de fotos abaixo também enviadas para Hans Muller, ex-presidente da FCI, por email em 31/03/10 denunciando a mestiçagem (vide em http://www.filabrasileirochicopeltier.com.br/fila-brasileiro-rj-fotos.html ) ? Que tal, Harrison ? Estas fotos acima são de cachorros com um mesmo fenótipo, tipo e variedade; como encontrado em qualquer RAÇA canina homogênea e normal em todo país do mundo, ou não ? Será que é só no “fila” registrado no CBKC-FCI que existe esta heterogeneidade e a Variedade e Tipo chamado por voce mesmo de ABERRAÇÃO ? E agora Sergio Castro e Renato Torres Simões do CBKC, será que voces vão continuar se omitindo e sendo cúmplices diante de tanta heterogeneidade decorrente da mestiçagem institucional e sistemática existente há mais de 40 anos no Fila Brasileiro registrado no CBKC-FCI ? Mas jamais no CAFIB !!! E agora Rafael de Santiago, Gerard Jipping, Raymond Triquet e Yves De Clercq da FCI, será que voces vão continuar se omitindo e desrespeitando o próprio Estatuto da FCI (vide em http://www.fci.be/en/FCI-Statutes-39.html ) o qual em seu item Artigo 2 – Objetivos determina que a FCI deve apenas “proteger o uso, a manutenção e a criação de CÃES DE RAÇA PURA nos países onde a FCI tem um membro…”. Ou seja, por este estatuto a FCI não deve ceder jamais seu tradicional e centenário pedigree atestando pureza racial para cães mestiços, certo ?